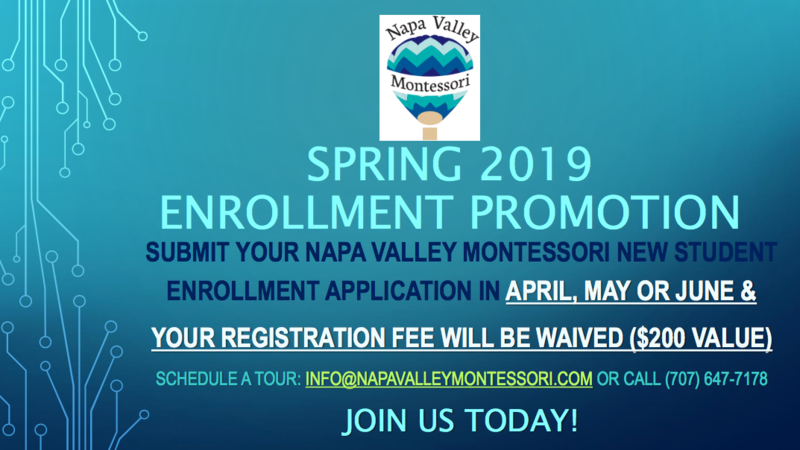 Premier private preschool and elementary school serving Fairfield, Vallejo, American Canyon and the Napa Valley! 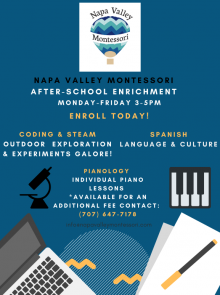 The Napa Valley Montessori School is a private preschool and private elementary school in American Canyon serving families throughout Fairfield, Vallejo and the Napa Valley. Our private preschool accepts children starting at age 2.6 years old, and our private elementary school has children through 6th grade. Our individualized and progressive educational program is designed in accordance with each child’s social and emotional needs, as well as his or her academic and physical development. The Napa Valley Montessori School academic curriculum consists of reading, math, practical life, sensorial, geography, cultural subjects, and music. 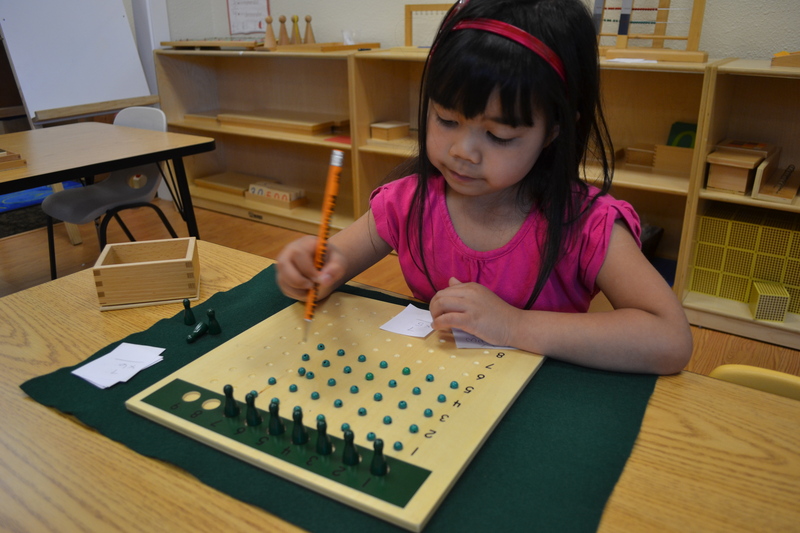 Our main goal is to provide quality a Montessori education for preschool and elementary students, well as caring and attentive childcare for families in American Canyon, Fairfield, Vallejo, Napa and the surrounding areas. Students at Napa Valley Montessori school are empowered with the opportunity to achieve their highest potential as they grow to become confident, competent, caring, and productive citizens. Download our informational flyer for our After School Enrichment program here.